Across the UK, the average house price was £233,181 last month – 2.6 per cent higher than a year earlier – Halifax said. February’s month-on-month increase had been a record for the index, which started in 1983, taking housing market commentators, who described the jump as “eye-watering”, by surprise. Russell Galley, Halifax managing director, said the 1.6 per cent month-on-month fall “partly corrects the significant growth seen last month and again demonstrates the risk in focusing too heavily on short-term, volatile measures”. He continued: “Industry-wide figures show that the number of mortgages being approved remains around 40 per cent below pre-financial crisis levels, and we know that lower levels of activity can lead to bigger price movements. Mr Galley said the challenges of raising a deposit to buy a home and lower housing market activity generally, combined with ongoing uncertainty around Brexit, have had an impact across the country – “but most notably in London, meaning that we continue to expect subdued price growth for the time being”. Howard Archer, chief economic adviser at EY ITEM Club, said: “A marked correction in house prices was only to be expected in March following the eye-watering and frankly bizarre record 6 per cent month-on-month jump in prices reported in February. Sam Mitchell of online estate agents Housesimple said: “The danger of reading too much into monthly price changes at the moment is perfectly illustrated by what we’ve seen in the first three months of 2019. House prices in the UK are expected to fall by the end of the year, according to the Office for Budget Responsibility. The OBR downgraded their official forecasts, predicting that in the final quarter of 2019 average house prices will fall by 0.3%. The independent analysts previously predicted back in October last year that the average price of a home in the UK would grow by 3.2% over that period. According to official figures, the growth of house prices over 2018 was just 2.5%, the lowest rate in the last 5 years. Many analysts have pointed towards uncertainty surrounding Brexit as a reason for the slowdown in the UK housing market, as well as a shortage of supply. The Royal Institution of Chartered Surveyors said that new buyer enquiries and agreed sales have both been falling for six months in a row. However, the OBR were more positive about the outlook beyond 2019. They predicted that by the second quarter of next year, average house price growth will hit 0.9%. This is still lower than their previous prediction of 3.1%. But they believe that by the end of 2021, growth will be up to 4% – higher than the 3.3% predicted in October. However, some people in the housing industry weren’t as confident. Aneisha Beveridge, head of research at estate agents Hamptons International, believes the future of the housing market will be less prosperous if the UK were to crash out of the EU without a deal by the end of the month. Simon Rubinsohn, the chief economist at Rics, believes that people selling their home need to be more realistic and have more awareness of the current market conditions. In a bid to tackle the issue of limited supply, the government have announced plans to inject more affordable housing on the market. In his Spring Statement, the chancellor Philipp Hammond guaranteed £3bn of lending to housing associations to help deliver 30,000 affordable homes. House prices are still struggling in the UK. According to the latest Nationwide report, prices rose by 0.4% in February, compared to the same month last year. 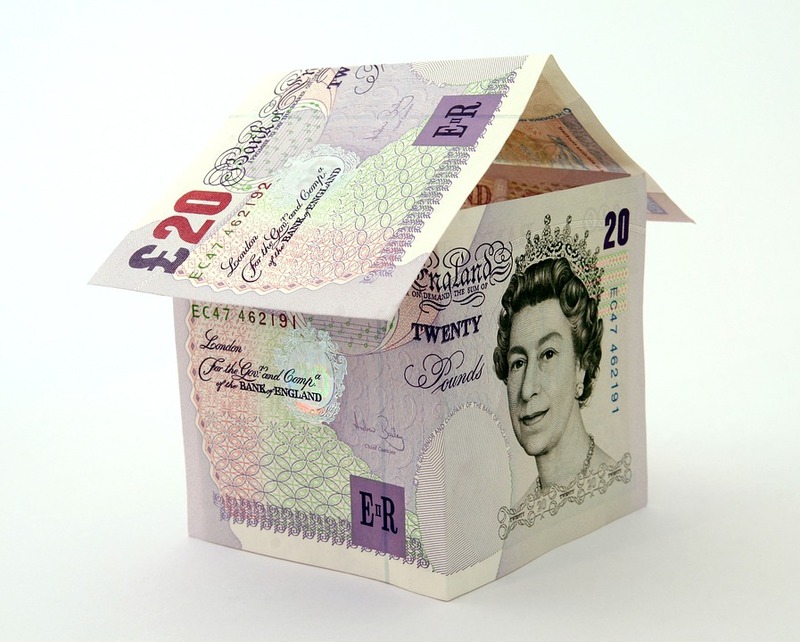 The average UK house price is now around £210,000, reckons the building society. Not much change then since last time. The big question is – what’s next? House prices are a bit of an obsession in Britain. This is not because the British are born with some sort of property-fetish gene. It’s because houses are both economically significant and the cause of a great deal of insecurity. It’s similar to the way that parents with school-age kids in this part of the world obsess over catchment areas and exam results. They didn’t care when they were single and childless, and they won’t care once their kids have got into school. But try getting them to talk about anything else when they’re in the midst of the fraught school-hunting process – no chance. So this obsession with property is simply a result of the fact that houses hang over us. This is made clear by the fact that this “national obsession” is in fact, not really national at all. You only see it in areas where houses are expensive – in the 20-odd years of my life I spent in and around Glasgow, I don’t think I had a single conversation about house prices (lots about the rain, though). Since maybe the mid-1990s, the UK property market has been gripped by slow-motion FOMO (“fear of missing out”). You stayed off “the ladder” to your cost. Say that, as a young person without much money and a desire to maintain geographic flexibility, you didn’t fancy taking a huge leveraged punt on an asset of often-questionable quality. Well, that was a mistake. That property you passed up back then has probably “earned” more money each year than you ever got paid. The old saying “you can’t go wrong with bricks and mortar” has been hammered home to the last couple of generations with brutal efficiency. If you are in the core wealth-planning target market (around 40-60 odds) then more than anything else, your present level of household wealth almost certainly depends on how much property you owned and when. It could make all the difference between whether you are now able to think about jacking it all in for a portfolio career with a heavy dollop of golf and city breaks on the side; or whether you are looking down the barrel of another 25 years of back-breaking mortgage payments that could rocket to unaffordable, lose-your-home-at-age-65, levels on the whim of Mark Carney. What if this is the “new normal” for house prices? The question for me now is – how long will this obsession persist? A flat or falling market doesn’t breed the same level of FOMO. There is still a big psychological hangover from the boom period. Prices in many parts of the UK are still gobsmackingly high. And there’s an assumption that prices will, at some point, renew their astonishing ascent. But what if they don’t? On the one hand, I still can’t see an obvious trigger to turn the current slow grind lower into a full-blown crash. If interest rates stay roughly where they are for a while and people hang on to their jobs, then they’ll be able to pay their mortgages. Equally though, if you don’t get an epic crash, you don’t get an epic buying opportunity. You might just get a slow stagnation, which gradually returns prices to just about affordable levels. House prices are generally “still very high relative to incomes”, as Capital Economics points out. But with prices in the most expensive areas (ie, London) falling hardest, and wages gradually ticking higher, that might be rectified more quickly than you’d think. So do we end up with a “new normal” for the housing market? Unfortunately, property is still a hideously distorted market. We have the stupid Help-to-Buy scheme, which will be causing problems well down the line from here (it’s a profoundly immoral scheme, as my colleague Merryn has just written in an excellent piece, which we’ll send to you early next week). And can “build-to-rent” create a more attractive market for renters in the UK than “buy-to-let”? That remains to be seen. But if house prices cease to surge every year, then that in itself would make a big difference. While the last few generations learned that “you can’t go wrong with bricks and mortar”, the next few might learn the precise opposite – that a home which fails to rocket in value can actually be an expensive headache relative to other asset classes. House prices were just 0.4% higher in February than a year earlier amid signs that the housing market has shifted more in favour of buyers rather than sellers in recent months. In January, property values had been 0.1% higher than in January 2018 – which was the weakest annual growth in nearly six years, Nationwide Building Society said. Across the UK, the average house price in February was £211,304 – a 0.1% month-on-month fall. Robert Gardner, Nationwide’s chief economist, said: “After almost grinding to a complete halt in January, annual house price growth remained subdued in February, with prices just 0.4% higher than the same time last year. “Indicators of housing market activity, such as the number of property transactions and the number of mortgages approved for house purchase, have remained broadly stable in recent months, but survey data suggests that sentiment has softened. “Measures of consumer confidence weakened around the turn of the year and surveyors reported a further fall in new buyer inquiries over the same period. Mr Gardner also said a supportive labour market and some recent tax changes have improved the bargaining power of people buying a home to live in relative to investors. Tax changes which have affected landlords include a stamp duty hike for people buying second homes. Meanwhile, first-time buyers have been helped by schemes such as Help to Buy, Mr Gardner said. Howard Archer, chief economic adviser at EY ITEM Club, said February’s figures show “another weak performance” for house prices. 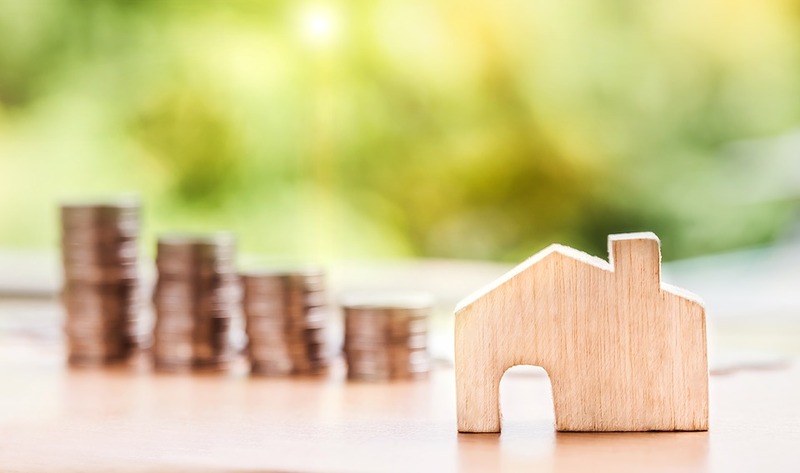 Mark Harris, chief executive of mortgage broker SPF Private Clients, said: “The spring-like weather has not quite filtered through to the housing market with price growth remaining subdued. Mr Harris said several mortgage lenders continue to trim loan rates in an effort to encourage more business “while innovative tweaks here and there are increasing as an alternative to offering the cheapest rate in the market”. The average home has leapt from £81,536 in 1988 to £473,882 in 2018 – that’s a 481 per cent increase. If the cost of a pint of milk (26p in 1988) had jumped up at the same pace, it would now cost a whopping £1.52 – three times the current price. Anyone who has watched the news or read the papers in recent years will know that we are neck-deep in a housing crisis, and it extends way beyond the capital. Half of young people in the country have no chance of ever buying a home, and private renters on lower incomes spend an average of 67 per cent of their earnings on rent. Already the situation is out of control, and that’s before we factor in Brexit, the harbinger of economic instability. Many have blamed Brexit for the recent slowing and occasional fall of house prices in London – but could this actually be a blessing in disguise? Could falling prices mean that a few more young professionals will be able to climb onto the first rung of the housing ladder? As they move into homeownership, will that free up rented homes, causing private rents to fall? Will those on lower incomes then be able to afford their rent again? Will the whole market become more affordable, suddenly meaning that – hallelujah – the housing crisis is over? Alas, I’m afraid not. And here’s why. First, falling house prices are often a symptom of an economic downturn or recession. This affects people’s spending power, whether they are first-time buyers saving for a deposit, or homeowners who see the value of their existing property stall or fall into negative equity. That will make houses harder to either buy or sell in relative terms. Second, inflation is expected to go up after Brexit, which means that people’s incomes will be squeezed regardless of their homeownership ambitions. And banks are generally less keen to lend when house prices are heading downhill. And finally, house prices are still at historic highs. In London, the average property is 13 times the average wage. House prices may fall, but it’s the fundamentals of the London market – volatility resulting from under-supply – that causes these problems. A drop in house prices is yet another symptom of the crisis, not a cure for it. We have a severe and worsening housing shortage in this country, and in particular a shortage of homes at the more affordable end of the market. There are more than a million households on the social housing waiting list, but the government only delivered 6,000 new social homes in the whole of England last year. The sadness we all feel at the number of rough sleepers on the streets turns to dismay when we realise that this is just the tip of the iceberg: almost 280,000 people in England are currently homeless. To truly solve our housing crisis, we must build a whole raft of homes that are affordable to a whole lot more people. That is why Shelter is calling for 3.1m new social homes over the next 20 years. Some naysayers will claim that it’s impossible to do, but we’ve done it before – after the Second World War – to great economic success and public acclaim. We can do it again. Our vision for social housing would offer the chance of a stable home to millions of people who fail to qualify under the current system. It would provide much-needed security and a step up for younger renters desperate to get on in life and build a brighter future for themselves and their family. The current housing situation amounts to a national emergency. Brexit-induced price falls won’t solve the problem. Building more will. In a new study, Rightmove revealed that house prices rose just £714 in a year; something they haven’t seen happen in over a decade. As the spring market approaches and people consider putting their house on the market, plus with Brexit looming, it’s a time of uncertainty for everyone — but what does it mean for buyers and sellers? ‘Longer daylight hours and green shoots appearing in gardens herald the start of the traditionally more buoyant spring market,’ Miles Shipside, Rightmove Director and Housing Market Analyst tells House Beautiful UK. Though it’s uncertain times for everyone, Shipside gives his advice on what this could mean for first-time buyers — and it looks like a promising season if you’re planning on buying your first property. ‘Buyers are being given the leg-up by cheap mortgage rates, if they can meet lenders’ criteria and lay their hands on a large enough deposit. In theory the scene would be set for an active spring if it were not for the uncertain political backdrop,’ explains Miles. He goes on to say: ‘A first-time buyer in London recently enthused to me that she and several of her friends were now buying properties. Asking prices for British homes rose by the least in a decade over the past year, property website Rightmove said on Monday, adding to signs of a slowing housing market ahead of Brexit. Rightmove said prices for newly advertised property were up by just 0.2 percent in February compared with a year earlier, the smallest increase since 2009, although they increased by 0.6 percent on the month, in line with the seasonal average. With wages rising at an annual rate of more than 3 percent, according to official data, the affordability of houses was improving at its fastest since 2011, the company said. “In theory the scene would be set for an active spring if it were not for the uncertain political backdrop,” Rightmove housing market analyst Miles Shipside said. Britain is on course to leave the European Union without a transition deal on March 29 unless Prime Minister Theresa May can broker a revised agreement with the bloc that is acceptable to her divided party and parliament. British house prices have slowed over the past year, mostly in London and nearby regions, as Brexit worries added to the headwinds from stretched affordability and higher purchase taxes for rental properties and houses costing over 1 million pounds ($1.28 million). Official data last week showed annual house price growth slowed to 2.5 percent in December, the lowest since 2013, while surveyors see the weakest near-term outlook for prices since 2011. Newport, South Wales, saw the biggest jump in house prices of any UK town or city in 2018, Land Registry data revealed this morning (February 14). Average property prices in Newport increased by 10.6 per cent to £182,505 in 2018 while Aberdeen suffered the worst fall outside London, dropping 6.5 per cent to £152,799, the latest official statistics showed. 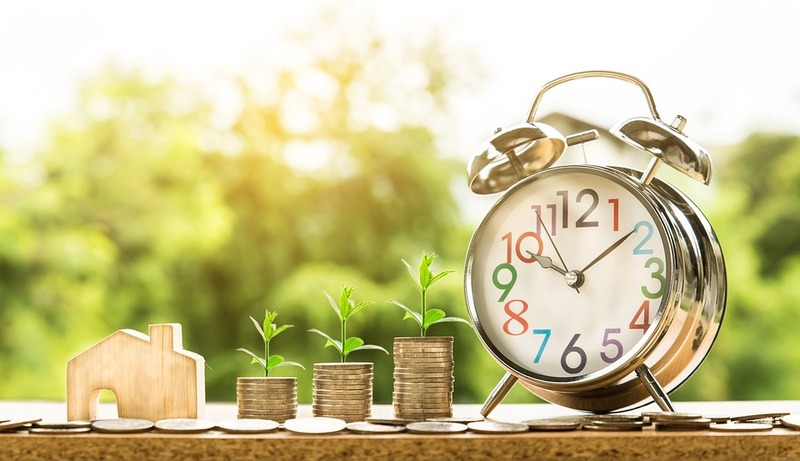 The average growth rate across the UK was 2.6 per cent last year, according to analysis by Gatehouse Bank, with 318 (78.3 per cent) of all 406 local authorities reporting prices increased in 2018, while 88 (21.7 per cent) saw them fall. “Increases of 10.6 per cent in Newport and 9.7 per cent in Merthyr Tydfil are pretty striking when you consider the political instability that has weighed on the UK since the Brexit vote. “Poor performances like that seen in Aberdeen, which fell 6.5 per cent, are proof that the cocktail of economic uncertainty, lack of housing supply and a raft of buyer incentives and cheap borrowing are creating a heady mix of outcomes across the country.